Investments in the early years, when children’s brains are developing and taking permanent shape, are the best investments we can make. Early childhood investments last a lifetime: children are learning from the moment they’re born. The first five years are the most rapid period of brain growth, with nearly 90% of brain development occurring by age 5. This remarkable growth happens in response to a baby’s experiences. Experiences in the early years affect the physical structure of the brain and shape the capacities children will have for the rest of their lives. Nevada County children will thrive because they are valued; they will grow up in nurturing environments that are safe and supportive; they will have access to resources and education; and they will enter school healthy and ready to learn. 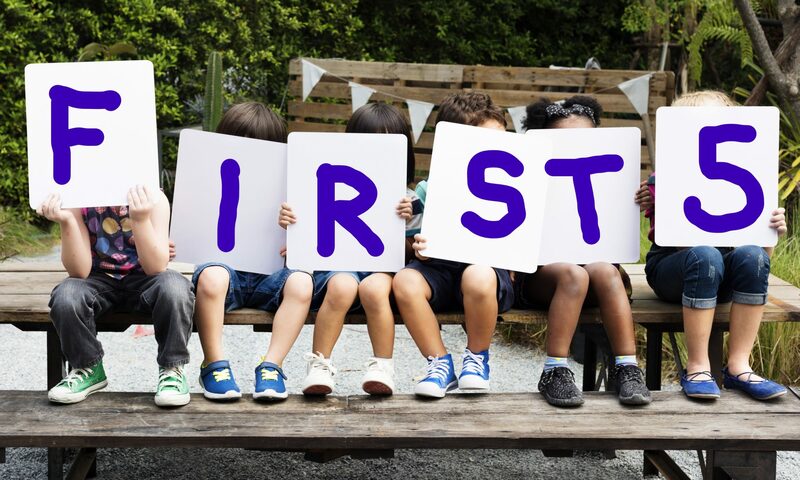 In partnership with the community, First 5 Nevada County creates, fosters and supports programs that promote health, wellness, and child development for children ages 0 to 5 and their parents. First 5 Celebrates 20 Years! First 5 turns 20 this year – we’re still investing in the first 5 years, when 90% of brain growth happens. And we’ve learned some things along the way – like investing in making systems work better for families makes the biggest difference with our limited funding, that partnering with other agencies helps us stretch our investments, and that, no matter what, our little ones are our future and are always a good investment. First 5 Nevada County Executive Director, Lindsay Dunckel, sums up what makes First 5 unique.